Interview with Adeline Cheah & CWO Wan Eng Bee, SAFRA Singapore Bay Run & Army Half Marathon 2016 Runners | JustRunLah! With the SAFRA Singapore Bay Run & Army Half Marathon just round the corner, we had a short chat with 2 outstanding personalities who will be a part of this historic event. They may be ordinary runners, but their grit is outstanding! 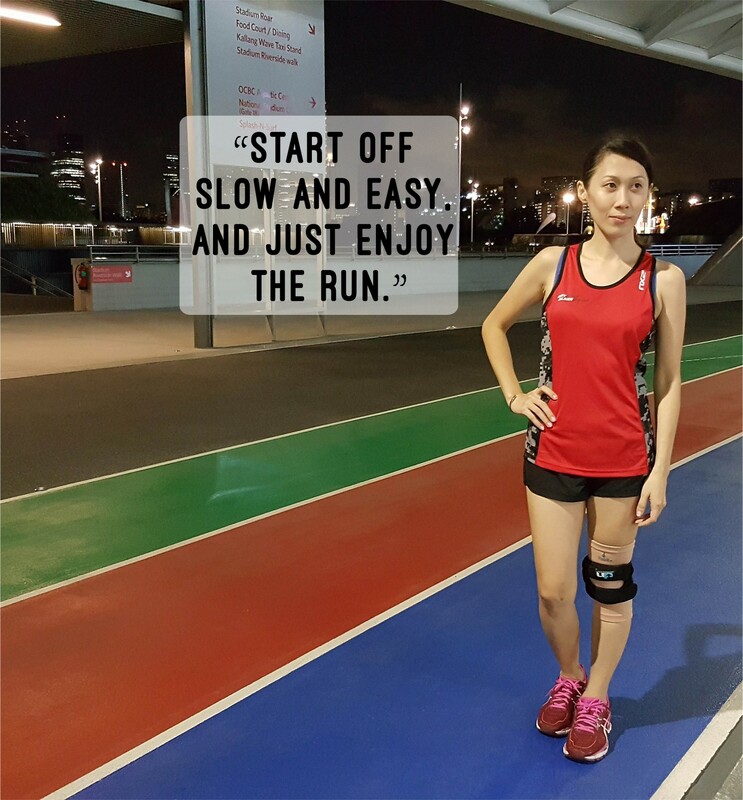 First, we spoke to Adeline Cheah – Mother by day and night, yet manages to find the time to dedicate to running! We also spoke to Chief Warrant Officer (CWO) Wan Eng Bee. At 53 years old, you’ll be surprised at his devotion to fitness! Listen to their stories and look out for them during the run! Run to inspire, and run to be inspired! JustRunLah! : When did you start running and what inspired you to do so? Adeline Cheah: 2 years ago, I was diagnosed with impaired glucose tolerance. If I didn’t do anything about it, I can expect myself to be a full-blown diabetes patient 10 years down the road. This was a major wake-up call for me! I had just gone through my 3rd pregnancy so this was really my turning point in life. I was going to have to make changes in my lifestyle and I chose running. Running helped me fight for my health. The SAFRA Singapore Bay Run & Army Half Marathon 2016 will be my 11th run and I’m looking forward to it! CWO Wan Eng Bee: My running journey started 17 years ago. I wanted to prove that I could still be athletic, fit and healthy even in my mid-thirties. I was very determined to lose weight and this motivated me to train regularly. I actively took part in my unit’s SSBR & AHM training and found that it really helped us to develop into strong soldiers with a strong body, heart and mind as we bond by training together. This was what got me going. JustRunLah! : We know you have 3 children so how do you juggle between taking care of them and running? Adeline Cheah: My 3 kids are my biggest fans. They are always there to cheer me on during my training runs. I am very lucky to have a family that supports my passion. Every time I return from a race, they fight for my medal and they tell me they are proud of their mummy! JustRunLah! : Even in your 50s you still train every day. Any particular fitness goals you are aiming to hit? 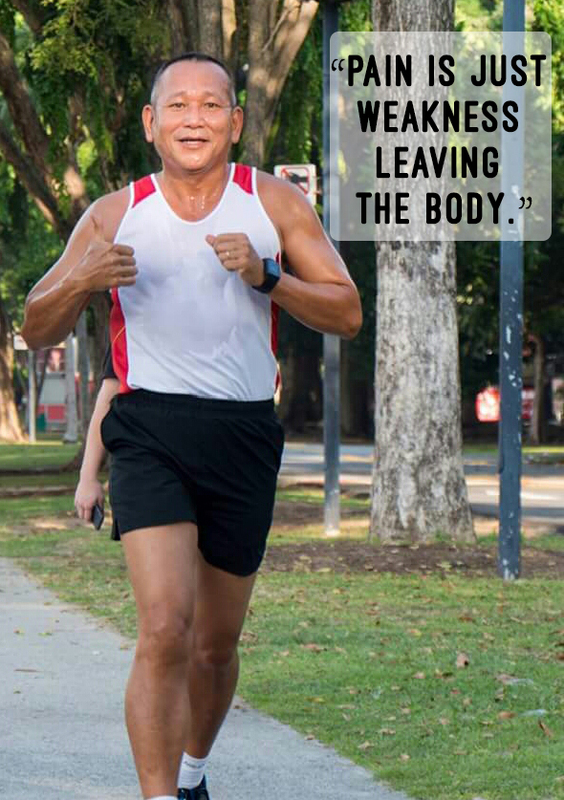 CWO Wan Eng Bee: I had a knee injury this year so I’m slowly getting back into the groove. My personal target is to complete the Army Half Marathon in less than 2 hours 15 minutes. JustRunLah! : Do you have any running mantras? Adeline Cheah: I constantly tell myself this – Just do not give up and constantly keep your spirit upbeat. Look around you and you will find that everyone has their own race to complete. And lastly, if it doesn’t challenge you, it won’t change you. You will be amazed at what you can do for yourself. Just keep going! CWO Wan Eng Bee: Strong and Steady and Pain is Weakness Leaving the Body. JustRunLah! : Any advice for aspiring mother runners? 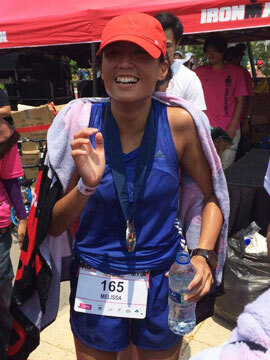 Adeline Cheah: To all Mummies out there, don’t be shy to pick up running. It is a great way to meet new Mummy friends and also an excellent unwinding therapy at the end of a long hectic day. Start off slow and easy, and just enjoy the run. Your body will thank you for this. JustRunLah! : Any advice for aspiring runners? CWO Wan Eng Bee: First, aim for distance over time – maintain a steady and comfortable pace. Second, incorporate cross-fit training to complement your running. Cross-fit training will help strengthen your core muscles and give you a better running posture. Third, set goals that are realistic and achievable – break down your goals into short term and long term. Lastly, know your limits when running – increase your running distance gradually and do not overexert yourself, to prevent injury.